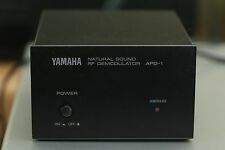 Yamaha APD-1 RF Demodulator thoroughly tested and working as designed. What you see is Exactly what you get. NO UNPLEASANT SURPRISES. We state the condition of the item to the best of our ability. It works fine as it should. On a scale from 1 - 10, with 10 being in new or excellent condition, this item is rated as an8. 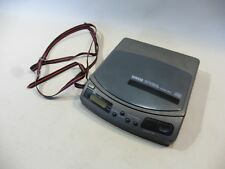 CD tray does not eject, produces jamming noises. "The sale of this item may be subject to regulation by the U.S. Food and Drug Administration and state and local regulatory agencies.